We finally get around to trying out Birch, an establishment which has been doing a brisk business at DC Mall, since September last year. Well you know what they say.. better late than never. 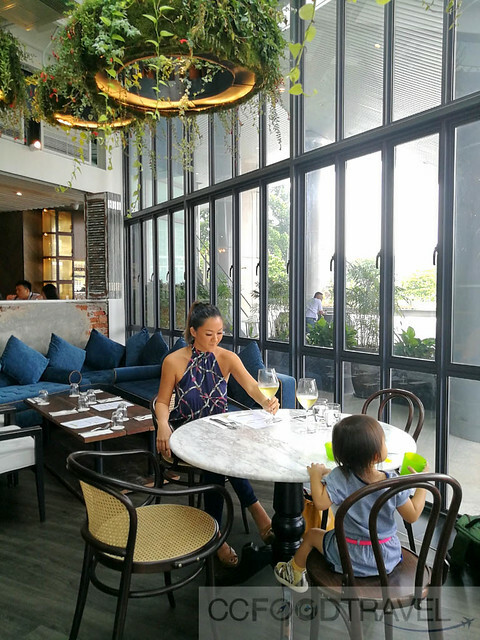 Brought to you by the folks behind Mezze, Huckleberry and Skullduggery, Birch, which takes its name from the tree, is super soothing to the eye with loads of greens and green tones to set the mood for a lazy afternoon lunch date with the family. Think long, linear windows, streaks of uninterrupted sunlight and no shortage of Instagram worthy spots around the place. Definitely the place to catch millennials in their element, selfie stick in hand, angling for that perfect moment when light & shadow fall on a perfectly powdered nose, forever immortalized in a 4 X 4 box. 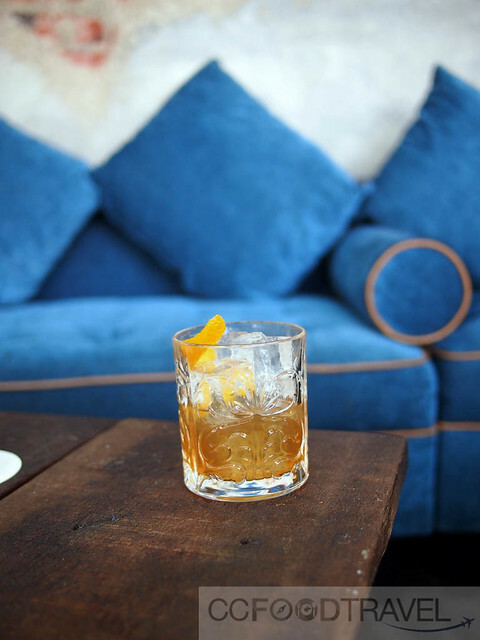 It doesn’t take a lot to screw up an Old Fashioned for me, but you’d be surprised how horrifically varied, bourbon, bitters, club soda, muddled sugar, and ice can get. So right here, I was happily surprised to report Birch’s one was as close to the mark, as it could get. A nice balance of smoky whisky, with an acceptable level of sweetness, it was a winner all right. And not just one, but most of their cocktails here are memorable. 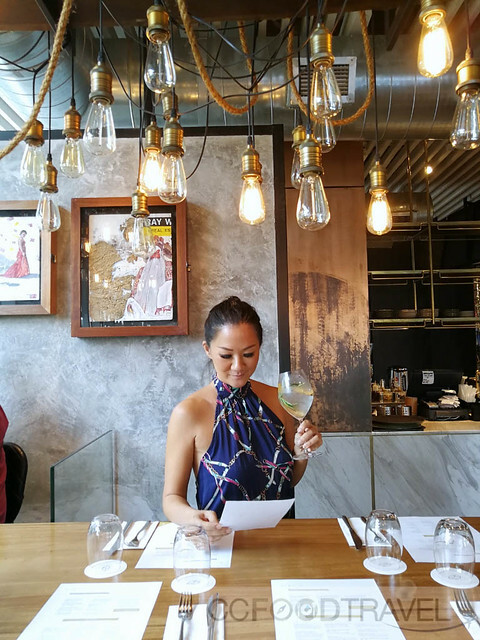 Try Beyond Sunrise and Catalan (happy hour menu) if you get the chance. 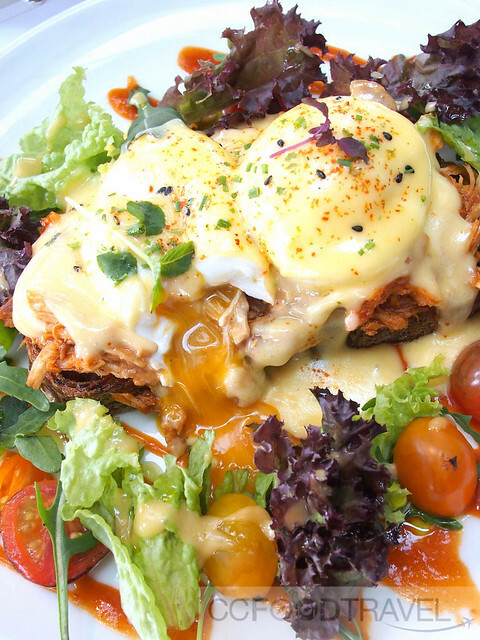 Nice fluffy poached eggs.. made magnificently runny over pulled chicken, seasoned spices and barbecue sauce on a thick seven-grain sourdough toast. Messy, runny, decadent. I’m not really into clinical eating.. so messy is generally a good thing in my books. 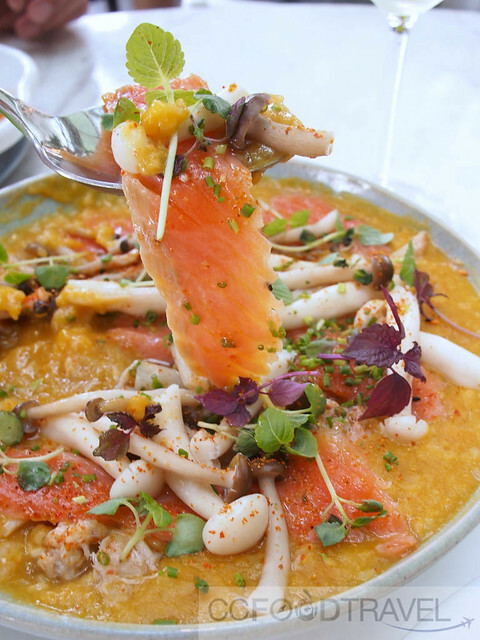 A surprising punch from the hidden crab meat, this gritty porridge, the color of pumpkin, was riddled with sliced salmon, braised shimeji mushrooms, togarashi spices and greens. Believe it or not, our baby loved this and ate half of it, all by herself. 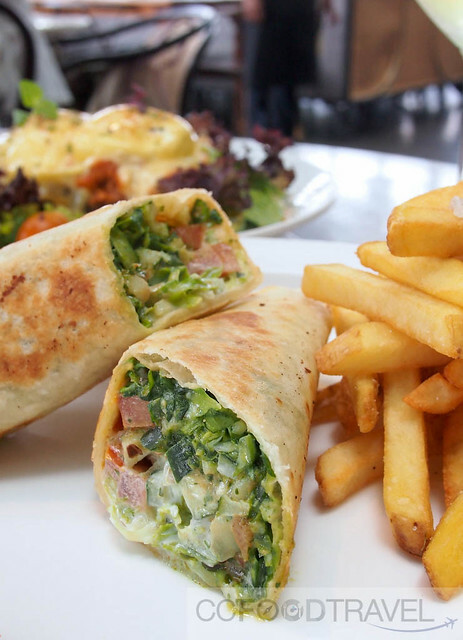 Falafel Sandwich Wrap – a yummy healthy option. Basically, a really salty burger. 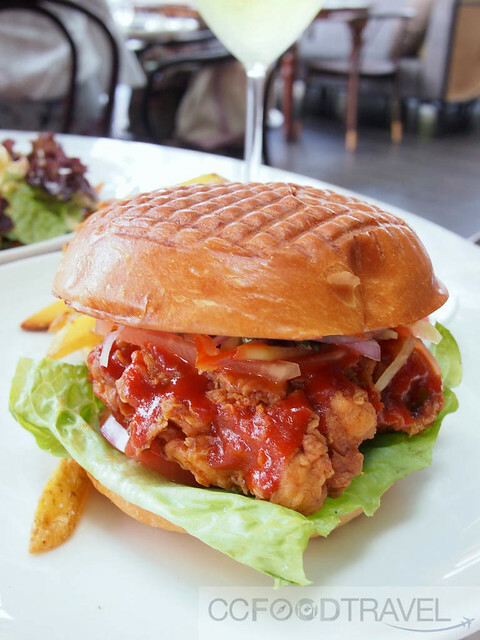 Think crunchy buttermilk fried chicken, salty Korean hot sauce, papaya slaw, sandwiched between brioche bread, and served with fries. A bit too full-on and salty for me. It’s like my tastebuds didn’t have any space to process the flavours. This was definitely the highlight for me. 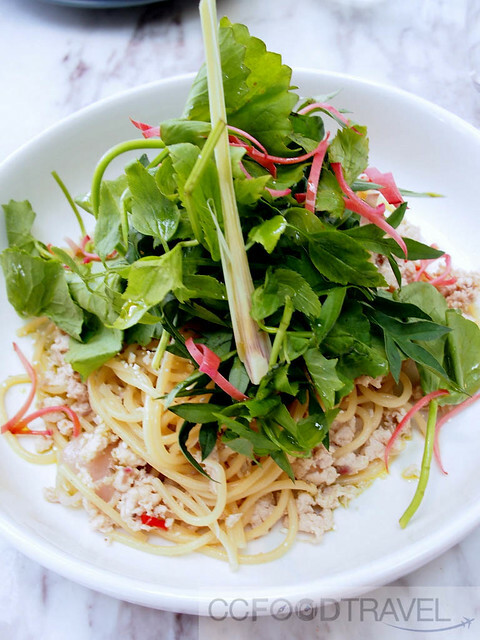 If there’s one thing to order, make it this Asian fusion pasta dish. Each mouthful of Spaghetti had a life of its own.. fresh and explosive.. heady aromas of galangal, lemongrass, ginger flower,coriander, fresh ulam salad,envelope minced chicken laced in fish sauce. 100% dope. I love my steaks medium rare, with a modest amount of fat on it and diligently charred. 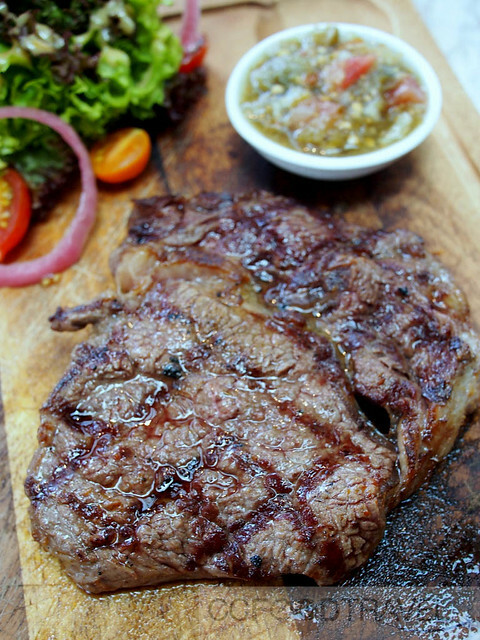 This slab of red meat, met all those requirements, and more. If you think this platter looks like it could feed 5, you’re right, but the TWO of us, put away these Lemon Ricotta Hotcakes with no trouble whatsoever. 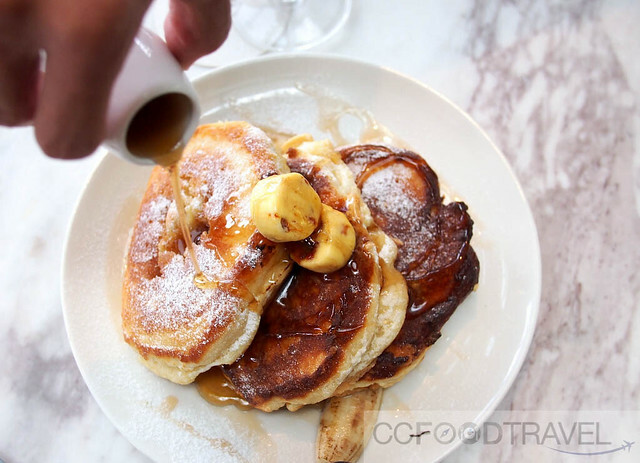 Drenched in honeycomb butter, bananas and maple syrup, make sure you wriggle your toes with each mouthful, and pray for the calories to disappear as fast as you can put these carbs away, coz Lord help you, you’re gonna need all the help you can get. Still, I’m all for the “eat now, weep later” school of thought. Oh enough said. Go get Birched. Jalan Damanlela, Damansara Heights, Kuala Lumpur. Previous articleWhat’s so Wonderful About Brick Lane, London?